brackets have been made! Gonna take some photos this evening of the progress. I may redo the seat pan, I have plenty of plastic left. I wanna make space for a passenger if need be... but cover it with the cowl most of the time. hard to figure out how to get the battery on there and have someone safely sit ON TOP of the damn thing. OH! OH! ALSO! 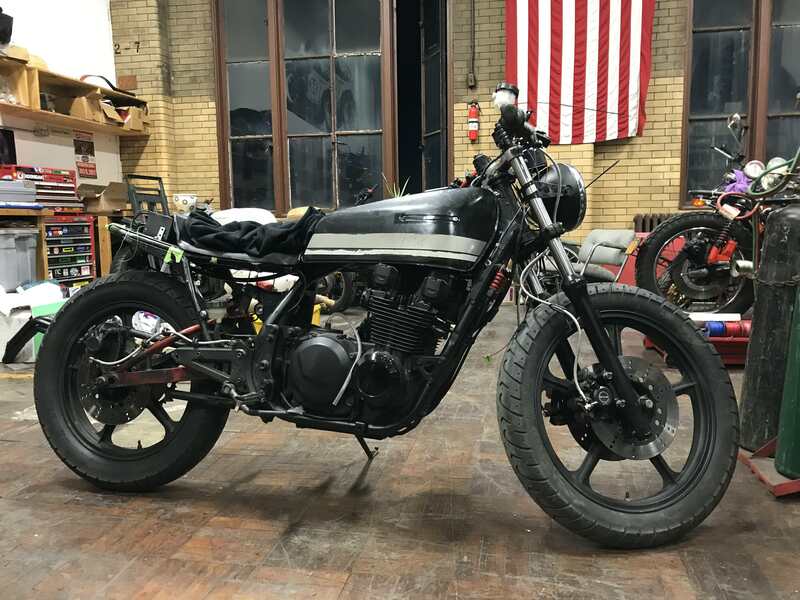 just discovered a ninja 650 rear shock fits (but it's a lot shorter) gonna try and get a used VERSYS rear shock because it's a bit longer and I don't have to custom fab a new dogbone to raise the bike up. Why do you want a new rear shock? 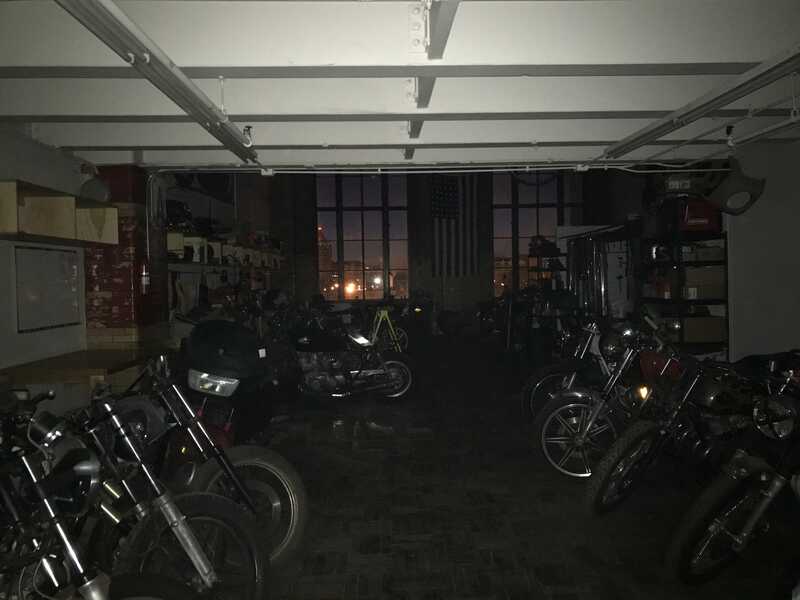 It ain't about showing up on a bike that the loan officer at your bank, or your parent's inheritance bought for you. It's about skinning your knuckles, straining your back, developing some blisters on your hands, breathing varsol and paint fumes,taking measurements and making mistakes. It's about standing back, after the dust settles, and being able to say when people ask, "I BUILT it!" the factory one has not one but TWO coil "helpers" to keep it from collapsing on itself. It's basically not a shock at all, it's just a rock hard spring. The forks look like they can be rebuilt, but the stock shock never was meant to be re-buildable. I could have it gutted and revalved, but a new one from YSS custom built to specs is just as expensive. 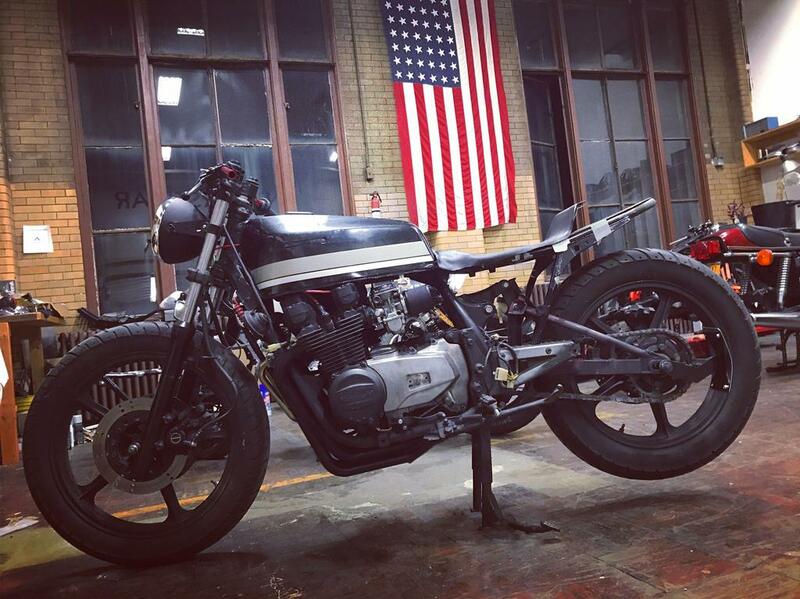 Mockup of the bike, with the headlight shell, so I can get a sense of what "complete" looks like at this stage. 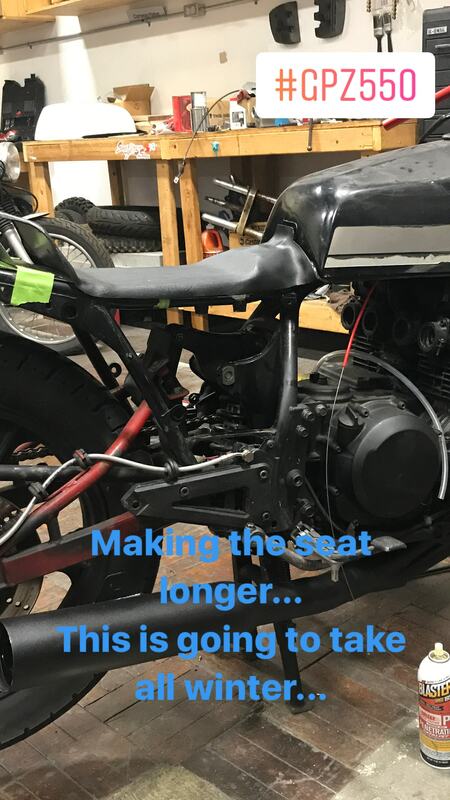 deciding to make the seat longer. I'd like the option of a passenger, even if it's a ride around the block. hiding the battery and electronics just got a lot harder. I *DID* grind the tabs off from the old factory stuff so I can make something new on my own. 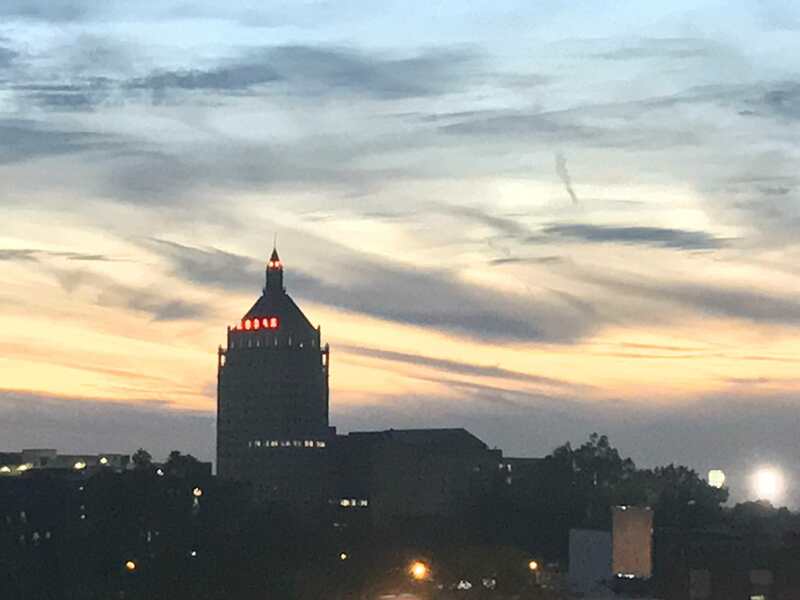 The view out of the window... KODAK city! happy winter, y'all. We just got our first snow, but it didn't stick. Bikes are put away, and I'll be putting around on the ruckus when it's not icy. And you can open u the stock shock, clean it and put new oil. It's designed voor de bike's stock weight. 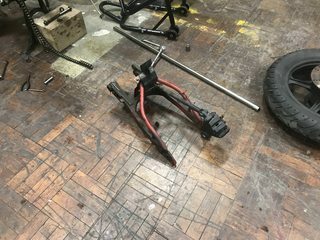 If you trash some parts and lower the weight, the shock is already very good. 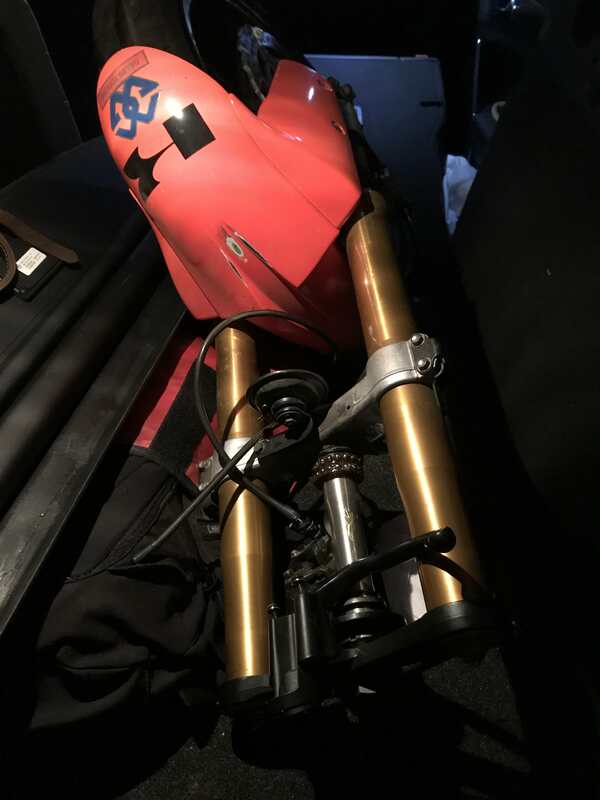 well, I went to check out a wrecked GSXR today, but the front end had a broken front fork: it was dented in a place that means one tube would need replacing. If you do put gsxr forks on there please please let me know how you get on... forks are different than the gt550 but everything same sizing. did a little more work with a free afternoon. going to get the tank painted but I can't decide on a color. something ridiculous like purple sparkle/raspberry café? Z1 and ZRX styling for the win. YSS fork cartridge emulators have been installed. It wasn't hard at all; everyone should do this to their damper rod fork! No need to suffer shite suspension! 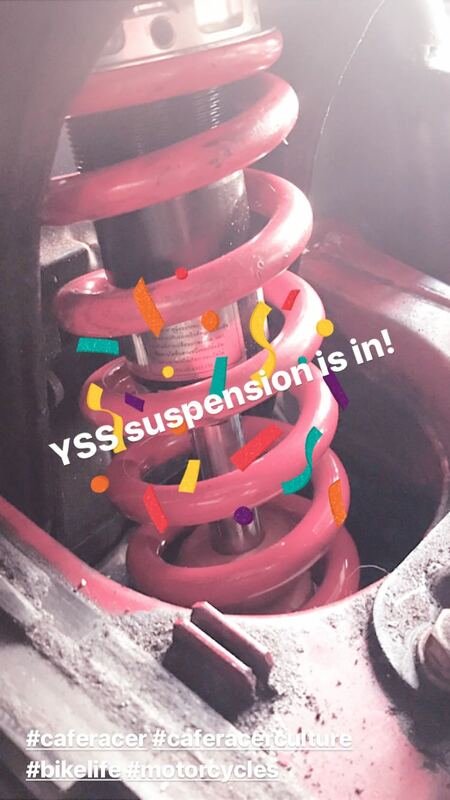 YSS rear shock ordered with appropriate spring. And then I started on the wiring harness. 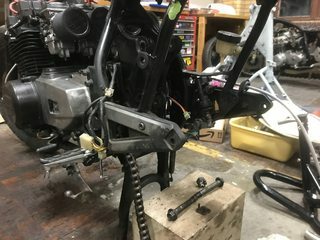 I've got the grounds to the frame sorted out, the M UNIT is installed onto the seat pan, and the battery is tentatively mounted back a little further than before. IT'S HAPPENING. THIS THING WILL RIDE. Pretty soon it will be an exercise in styling the bike to my liking which is a lot less headache I think. 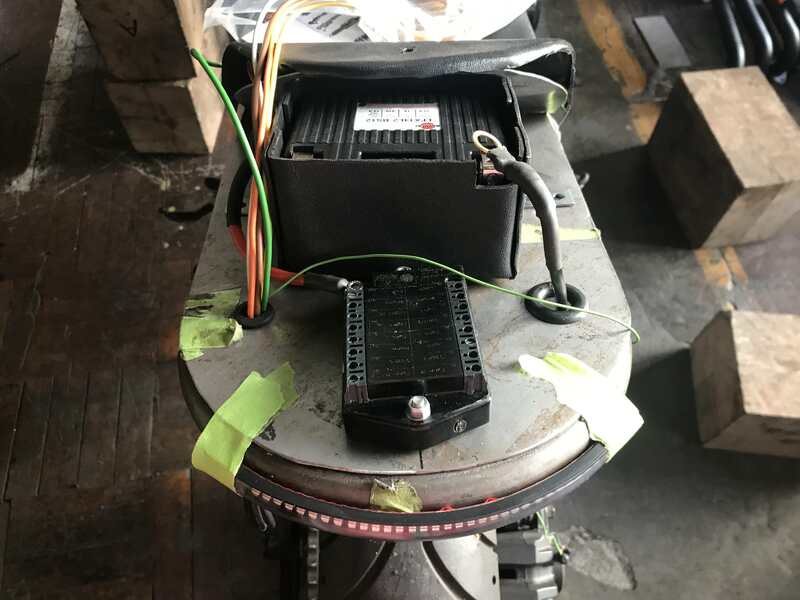 I just got the Regulator/Rectifier mount made, and the connectors put together.. I've got the whole electrical system for accessories working. Now I just need the starting circuit finished. Here's how I ended up mounting the M-Unit and the battery at the back. I opted for a Shorai since I plan on really riding this bike and I didn't want just a little ballistic battery alone to rely on. New rear shock from YSS suspension setup for my weight. between saving lives and working 80hrs a week most weeks, things have been slow but steady. Hours should be better in about 6 weeks. I feel like you might already know this, but if there isn't a conversion bearing option you might be able to go the route of pressing the gpz steering stem in zx10r lower triple tree. My kz750r1 is using a zx9r upper and lower yokes with a kz steering stem. If the zx10r steering stem is smaller than the gpz stem, you're in business. Vice versa with those dimensions would make things a little trickier.